The relative erasure of African cinemas on the international scene during the 2000s, notably from black Africa, does not mask the profound ruptures in their work: a new relationship with reality, new aesthetic strategies and the emergence of a postcolonial popular cinema. Drawing from key films that have marked this decade, Olivier Barlet, who follows the day-to-day cinematographic events of Africa and the Caribbean, engages with the critical questions that have been posed by these evolutions. He also brings a personal and passionate vision to the work. 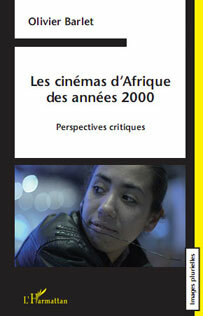 In relationship with the multiple references of works from the various artistic disciplines in the Africultures review, Cinémas d'Afrique des années 2000 : Perspectives critiques is an indispensable comprehensive survey that counters preconceived ideas and enriches the approach to the study of film criticism. 1.2.7 Un cinéma africain ? 1.5 Une critique africaine ? 1.6.2 Le public absent ? 1.7. Défini par l'Autre ? 6.2 La télévision : piège, requin ou chance ? 6.4.1 Sans encadrement de la diffusion, pas de salut !